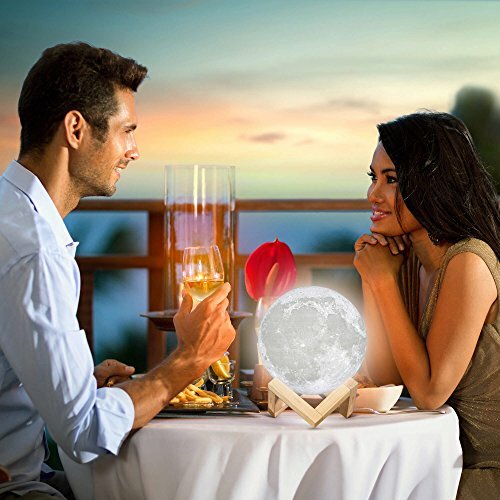 [MOON LAMP DESIGNED IN USA ❤️, BREATHTAKINGLY BEAUTIFUL]: Your 3d printed moon lamp is an artistic creation which will put a smile on you and your loved ones. 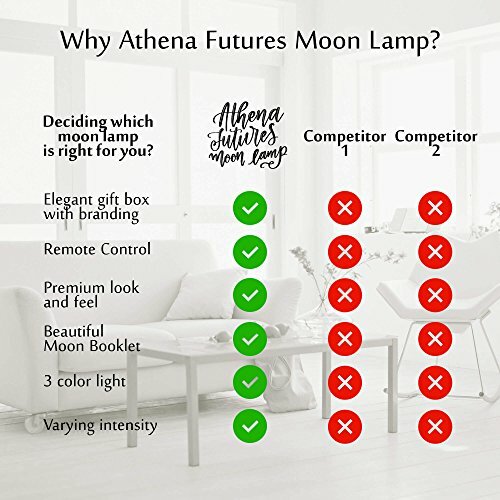 Your lamp can be arranged to give pleasing illumination to your family room, baby nursery, children's room, on a picnic or in a cabin in the woods. 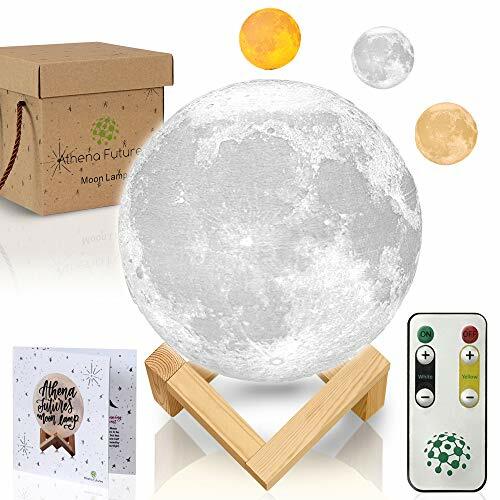 [BEAUTIFUL NIGHT LIGHT  FOR YOUR LOVED ONES OR YOURSELF, WITH AN ELEGANT GIFT BOX]: The moon lamp is an ideal gift for a baby shower, house warming, baby hamper, Christmas or Thanksgiving. Your lamp comes in an elegant gift box suitable for many occasions. 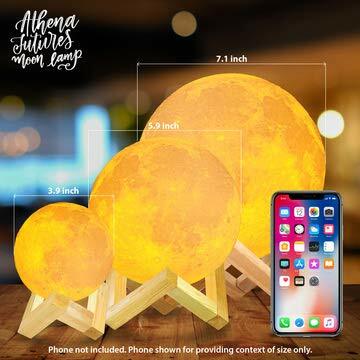 Your loved ones of all ages will enjoy the soft lustrous light and the natural appearance of the moon lamp as it add beauty to their décor. 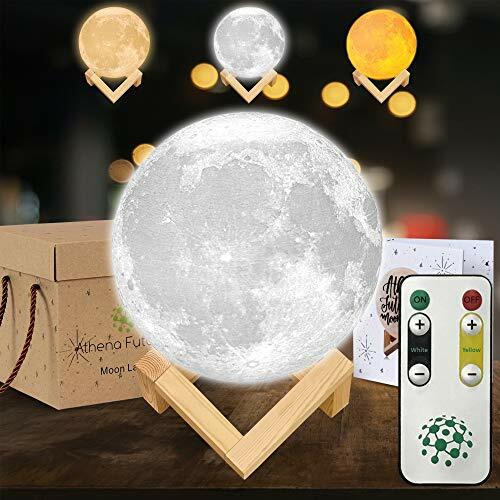 [3 COLOR MOON LAMP WITH REMOTE]- Your moon lamp displays 3 beautiful colors - white, yellow and roseate. 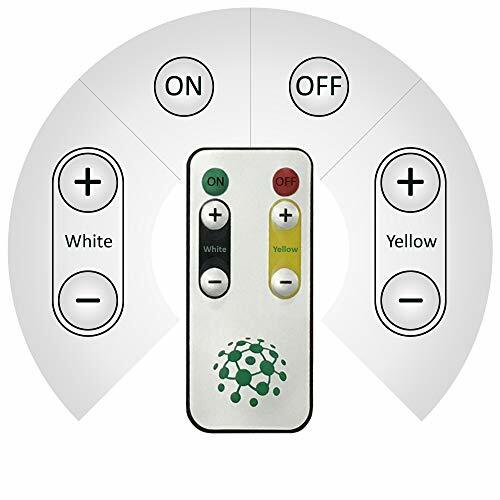 All the three colors can individually be dimmed as per your preference. atisfied with your product or receive your money back. 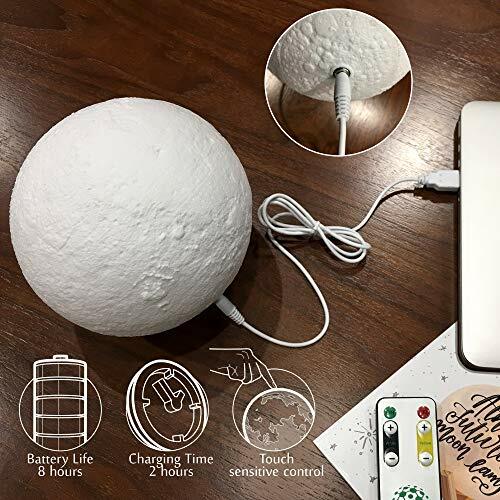 Buy worry free, we are sure you will love your 3d Printed Moon Lamp. 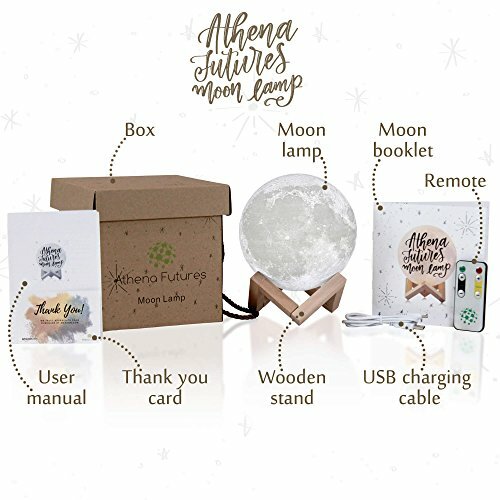 [USB CHARGING CAPABILITY OR KEEP IT PLUGGED IN] - Your moon  comes with a USB charging cable of close to 4 feet so you can charge your lamp from any power source like your laptop, power bank or even keep it plugged in while in use and use the remote to switch it on..
[ELEGANT MOON  GIFT BOX AND BOOKLET, SWITCH MECHANISM]: A copyright beautiful gift booklet comes with your moon lamp depicting areas on the moon alongwith Apollo Lunar landing sites. You will love it! 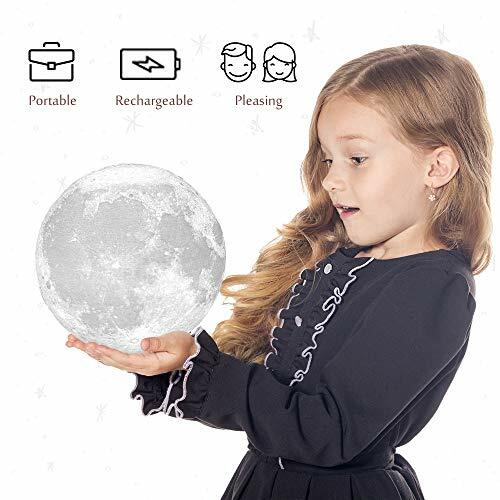 Your moon lamp comes with a tap on switch mechanism with dimming capabilities and 3 colors -white, yellow and roseate and also a fully functional remote.